Imagine studying about life under the sea with a big screen in front of you depicting everything exactly as it would look. Or learning about the pyramids of Giza while looking at the pyramids themselves, and being able to zoom in and study the special features of each brick. Sounds futuristic, doesn’t it? 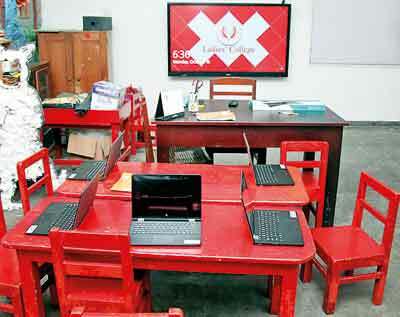 Yet the technology to do this and more was launched this week at Ladies’ College, Colombo – the first school in the country to launch Smart boards in the classroom. These innovative ways of learning have been enabled by the SMART classroom project introduced this week. Through the project, the school raised money to fund 54 interactive boards to be used in all classrooms from primary school upwards. The project will include training for the teachers, and the collaboration of many school officials and others in order to ensure that it is implemented effectively, and is another step in the school’s ethos of holistic learning. Teachers will have full control of the boards so that children cannot access the board without a teacher present (the boards will be password protected). The funding for the boards was through the Old Girls’ Association of Ladies College which organised a dance and collected funds from well-wishers, old girls and parents. 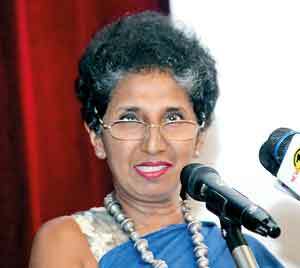 “At Ladies’ College we believe education is not just the accumulation of knowledge by rote in the classroom but a long term holistic process,” says outgoing President of the Old Girls’ Association of Ladies College Preethi Adhihetty, who is happy to have been able to work on this project. A SMART board is a cross between a Smart television and a computer – which means that it can play explanatory videos etc. while also allowing teachers to write on it just as they would on a normal board. 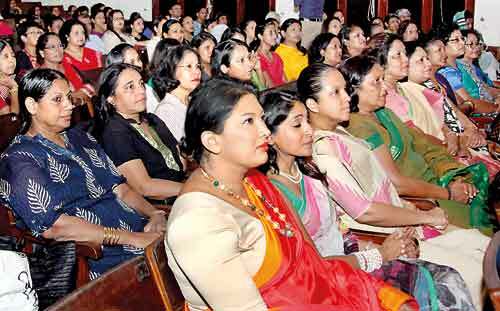 The technology was given to Ladies’ College by East West Information Systems (EWIS). “It looks like a Smart TV but it has a built-in computer,” explains Chief Operating Officer of EWIS, Nirmal Pieris. 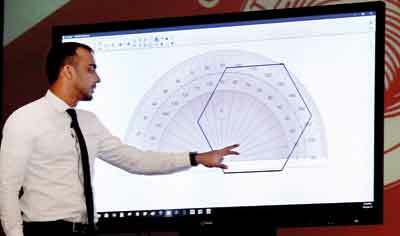 Other interesting features include the ability of the board to automatically plot a graph by simply clicking and dragging the equation onto a graph, creating educational activities using various software and shape recognition, which allows teachers to draw an imperfect circle on a board which will automatically be transformed into a perfect circle etc. 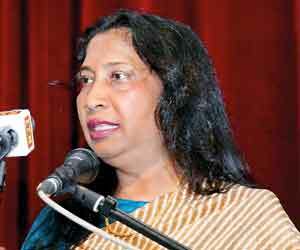 Ladies’ College Principal Eesha Speldewinde feels that the project would take the school into a new era in terms of teaching and learning. “Their (the students’) learning experience will be enhanced in terms of creativity, understanding etc. and also the rapport between the teacher and the student can be improved,” she says, emphasizing however, that this is not a way for students to take shortcuts in their education. “Some of the old methods also have to remain. We’re not doing a complete shift. We are introducing a few elements which can enhance the learning experience,” she says, adding that other essential skills such as learning how to write well by hand and memorizing essential knowledge such as timetables will continue. Explaining that there are different methods of learning for students such as visual, auditory and kinesthetic learning, she feels that the Smart board will help them all explore the world in a better way. “With the touch of a finger, the world is open to them,” she says. The new technology, she stresses, does not change the emphasis of the school. “We are grateful to a lot of people for helping us in this endeavor and look forward with humility and appreciation,” she says, adding that the goal of the school in producing young adults who are of service to others remains unchanged.